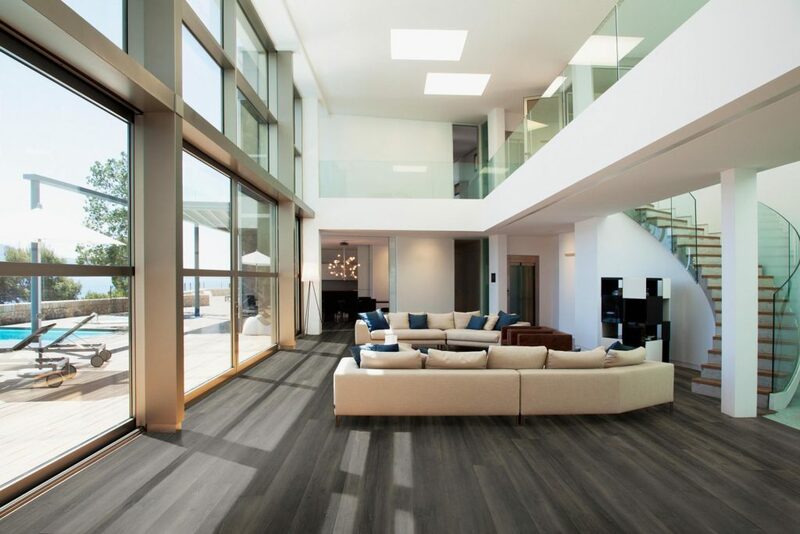 What is it that makes luxury vinyl flooring so appealing to so many? Is it the way in which it can replicate the look and feel of natural materials like wood and stone so perfectly (without sharing the porousness that makes them unsuitable for areas like the bathroom, kitchen or basement)? Is it the soft and pleasant feeling that they give underfoot because of the hypoallergenic cork backing which also provides effective soundproofing? Is it the extreme durability it is afforded by the high-density, limestone-based core? The beauty of vinyl flooring is its sheer versatility. It’s malleable nature allows it to perfectly replicate the look and feel of any natural material. For this reason, stone embossed tiles are very popular in 2019. They provide an authentic look and feel but also have a softer and warmer underfoot than stone and are, of course, completely waterproof and non-porous. 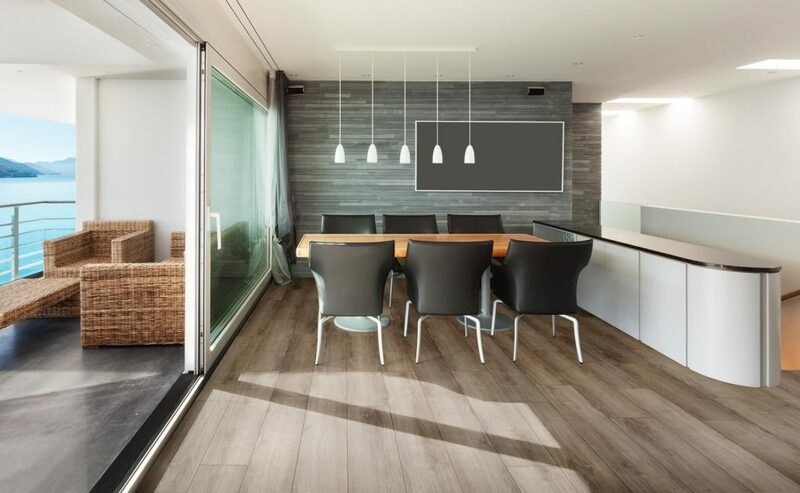 Vinyl is surprisingly adept when it comes to perfectly replicating the look and feel of wood grain while also providing an impermeability that even engineered hardwood will struggle to beat. What’s more, anything that can be fabricated in wood can be replicated in vinyl. Hence, if the vertical lines of standard vinyl plank flooring don’t appeal to you, there are also a wide range of chevron and herringbone styles available. A classic look that suits virtually any home, vinyl plank flooring is best appreciated by many in the form of rigid core planks. Wide planks allow you to see and feel more of the grain, making for a more realistic finish that will be pleasing to the eye while also feeling luxurious underfoot. There are a number of different styles and finishes which can dictate the look of your flooring and thus, your room. Farmhouse style is very popular right now as its slightly distressed look lends a casuality to the space which makes it suitable for any design tastes. A farmhouse style floor is equally at home in traditional or contemporary design concepts. Although vinyl can be a real dead ringer for stone, mixed width tiles can help to preserve the illusion of natural stone with an asymmetry that provides a more natural and organic feel. Whatever trend best suits your tastes, you can find a wealth of flooring choices by visiting Firmfit’s website.